Home » Why Is Erdogan Shifting the Coup Blame to Fethullah Gulen? President Recep Tayyip Erdogan blamed the uprising on Fethullah Gulen, a retired Islamic cleric and former political ally, who once had a sizeable following in the Turkish police, judiciary and military. The president has purged the police and judiciary of reputed Gulen sympathizers over the past two years, and had been due to hold a meeting of the body overseeing the military, the High Military Council. There were reports he was planning to oust anyone still linked with Gulen. Fethullah Gulen, whose movement denied any involvement, now lives in exile in the Poconos Mountains in Pennsylvania, USA. Erdogan has tried, thus far unsuccessfully, to obtain his extradition to face allegations of supporting terrorism. A reclusive Muslim cleric/ super-rich Turkish businessman who runs one of the world's largest charter school and private school networks, is very close to the CIA and has been more or less at war with Erdogan for the last few years. Living in exile on a Monroe County farm, he denied claims by Turkey's prime minister that his progressive religious movement is behind a corruption probe designed to undermine the Asian nation's government. Fethullah Gulen, who has lived near Saylorsburg since 1999, condemned Turkish Prime Minister Recep Tayyip Erdogan for characterizing the corruption probe as a Western plot to destabilize the nation. Gulen, 72, who lives at the Golden Generation Worship Center in Ross Township, is seen by followers as a tolerant and moderating voice in global Islam. He has made his life's work spreading the influence of Turkey through an international network of schools, including about 130 public charter schools in the United States, three of which are in Pennsylvania. Turkey has been a relatively moderate Muslim country until recently where it has covertly allied itself with ISIS terrorists in Syria. It is literally on the boundary between Europe and Asia. 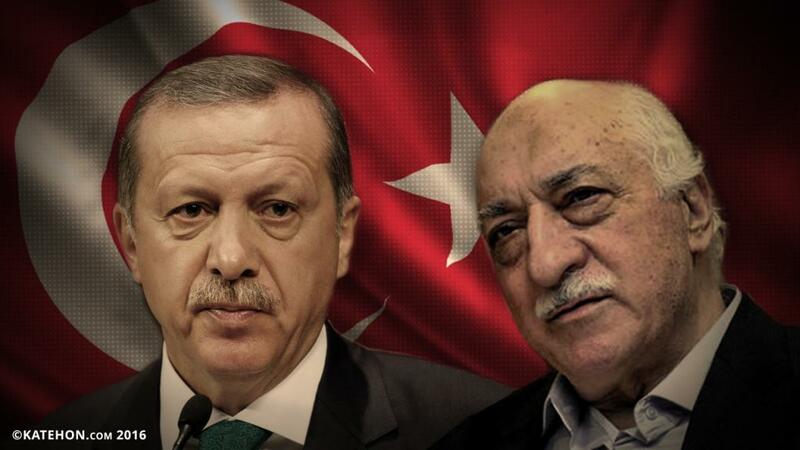 The crisis in Turkey, the most serious challenge to Erdogan’s rule in his 11 years as Turkey's leader, is somewhat propagated [in the Western media] as the result of a growing rift between Erdogan and Gulen, a former ally with quiet influence in the police and the judiciary. 24 people, including the sons of two ministers and the head of a state-owned bank, have been formally charged in connection with the corruption inquiry that Erdogan has called a "dirty operation" to weaken his rule. In response, Erdogan has fired or moved to different posts about 70 police officers, including the powerful head of Istanbul's force, in a widening crackdown on the force that launched the investigation, Reuters reported. In a speech in Turkish posted on his website Friday, Fethullah Gulen used strong language critical of Erdogan's response, the Wall Street Journal reported. "Those who don't see the thief but go after those trying to catch the thief ... let God bring fire to their houses, ruin their homes, break their unities," Gulen said. In a further statement on his website, Gulen denied any link to the probe and called on the government to let independent prosecutors and the judiciary investigate and adjudicate the charges. He said Erdogan's claims of an attack on the secular government were a strategy to distract the public from the corruption. Gulen's supporters in the Turkish AK Party share common ties with the religiously minded Turkish middle class that helped to elect Erdogan's government in 2002 who are now disenchanted. For that reason, Gulen's influence is seen by some as a potential factor in national elections in March of 2017. Gulen's movement in Turkey began in the 1960s, promoting religious tolerance and emphasizing the importance of science and education to a moral society. According to a June congressional report on Turkey, Gulen condemns terrorism. He promotes dialogue between religions, and cross-cultural understanding. He teaches that Islam is compatible with modern democratic societies. Critics in the United States, however, cast suspicion that Gulen's movement is a base to spread Islamic law, or Sharia. In the charter schools connected to Gulen, including Truebright Science Academy in Philadelphia, no religion is taught. All emphasize science, math and technology. Two years ago, the former principal of Truebright tried unsuccessfully to open a charter school in Allentown. Gulen has said he would like to go back to Turkey but that his return might be used to stir political trouble, or that those who had persecuted him in the past might try to do so again. He left in 1999, shortly before the start of a case against him on charges of plotting to destroy the secular state and establish Islamic law. He was acquitted but has lived ever since at the Golden Generation Worship and Retreat Center, constructed on 26 acres in a Poconos Mountains of Pennsylvania in the 1990s as a center for Turkish-American children.